An Oklahoma State fan showed up to the Cotton Bowl on Friday night in one of the greatest football jerseys weâve ever witnessed. 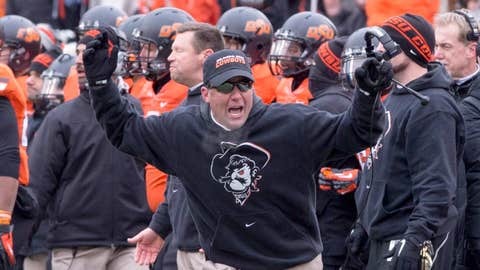 Said fan turned Mike Gundy’s legendary "I’m a man! I’m 40! " rant into a Cowboys jersey with "I’M A MAN. I’M" on the nameplate and the number 40. – NFL draftâs top 50 busts: Where are they now?